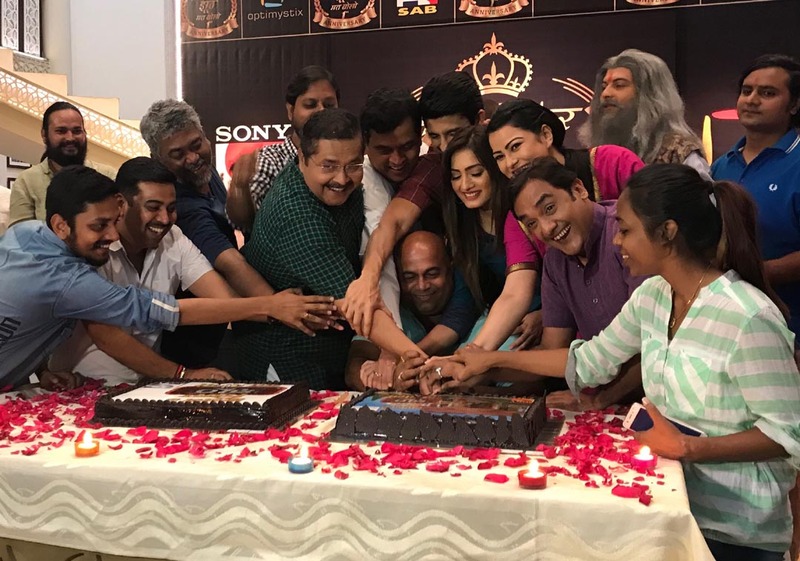 Ludhiana, May 26, 2018 (Rajinder Ahuja): It was celebration time on the sets of Sony SAB’s popular show Sajjan Re Phir Jhooth Mat Bolo as they celebrated their 1st Anniversary. The show that has been bringing smiles on the face of its viewers since its launch has left no stone unturned in showcasing its iconic characters with its engaging content and extraordinary storyline. While the show is best known to tickle the funny bones of its viewers, the cast and crew were seen celebrating a joyous occasion on their 1st Anniversary. The cast and crew came together to mark the day with a cake cutting followed by a small celebration for the success of the show. The actors that were present at the celebration were Hussain Kuwajerwala, Parvati Vaze, Tiku Talsania, Sharad Ponkshe and Rakhee Vijan.